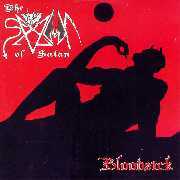 The band label themselves as Death Metal in the true sense of the word, although they're mostly described as Black Metal. With 'Profane Prayer' Vulture Lord proves The Norwegians still delivers extreme and hard hitting old-school metal; true to the essence of the underground both: visually, musically and lirycally. Features Urgehal members.